My aunty helped a lot with my muslin fitting. Chris said the back was 'fine', but knowing that it was cut 1.5 sizes bigger than usual, I felt that he might be missing something... sure enough, I removed about 4cm in width and 2cm in height from the various seams at the back. Since then, there has been a great deal of thread tracing and silk pressing. I expect this to continue for quite some time! A bonus of doing hand-sewing is that I find it strangely easy to find 15 minutes to just do 'a little bit'. Also, it's quiet and peaceful. Do you ever do things the slow way because you enjoy the process? Or are you always looking for faster methods? I often like to do things the slow way. I think that by doing things the "fast" way sometimes we miss the quietness, the introspection, and often the joy of just doing it. If that makes any sense? Yes! Not that we all have endless time to spend on things, but I totally get it. Bread machines are a key example, to me. What I like about making bread is the process, the kneading, the checking... if I get a machine to do it, I may as well just buy the end product. Your question is an interesting one. 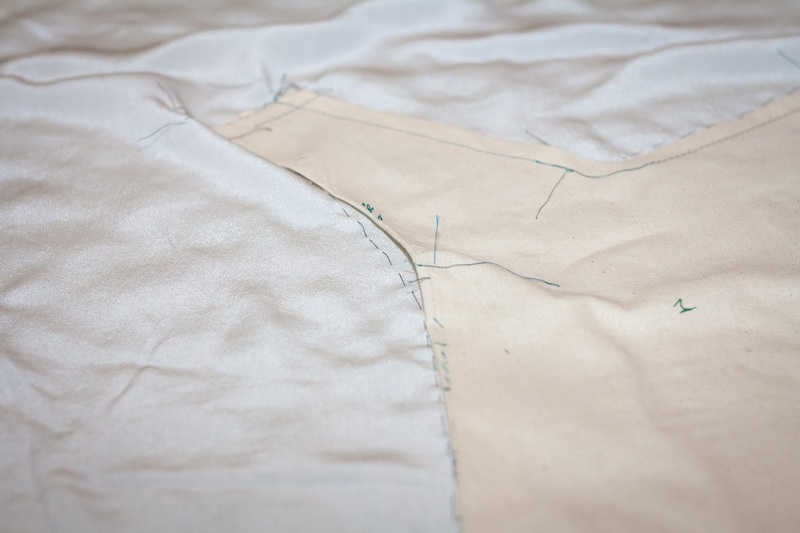 I do always look for the fastest way of doing things (including sewing) but more often than not, enjoy the slower processes best during the process. 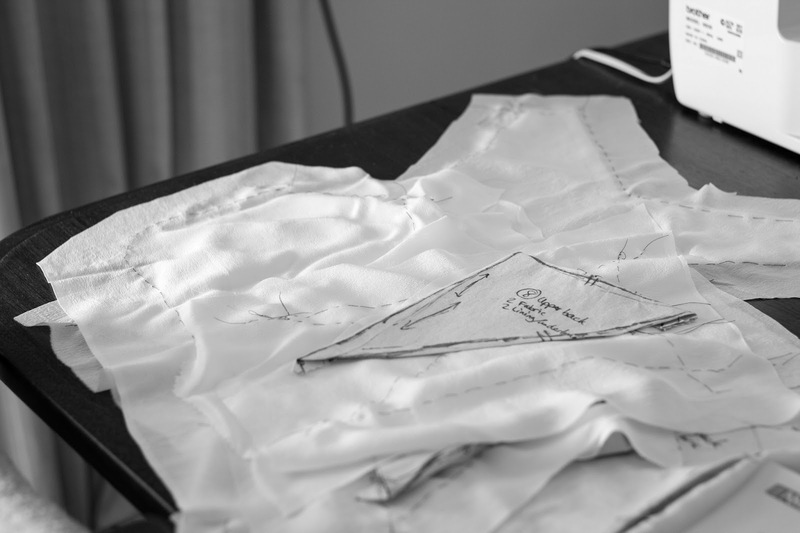 Looking forward to seeing your finished garment. I know what you mean, I'm in two minds about saving time vs enjoying the process. Slloooow. In fact, I love working on labourious things like applying seam binding to my seams just so I can extend the actual sewing process out a little longer. My teacher was totally right when she said sewing should be called 'garment construction' instead, because you spend so little time actually sewing!!! Garment construction is definitely a more appropriate term. I like it. One bonus of slowing down the process is that you spend less money on materials and don't end up with a wardrobe full of mediocre clothes! I prefer slow and steady calm considered sewing. When I go fast I don't enjoy it as much AND I make mistakes. I make far more mistakes when I'm trying to go fast, too. It usually ends up taking longer (not to mention all the tears of frustration!). Sometimes I see sewing bloggers who manage to create new outfits every week and feel like I'm missing out. But I guess we all enjoy doing things differently. Interesting that most of these comments are pro-slow! Sometimes, the slow way feels more real, as though you have a closer connection with what you're making. Definitely. I think it gives items a personal value that money can't buy.